In general, microwaving is among the healthiest cooking method. However, for individual vegetables, optimal cooking methods vary. Sweet potatoes boiled with the skins on may maximize nutrients. The benefits of raw broccoli can be replicated by either pre-chopping and letting it stand before cooking, or adding a little mustard seed powder after cooking. It is a myth that raw foods are always better. Steaming can increase bile acid binding ability of some vegetables. Cooked beans appear to be on par with canned and sprouted. Although some nutrients are partially destroyed by cooking, others may become more absorbable. Kale, for instance, may be healthier cooked. In fact, too many raw cruciferous vegetables can be dangerous (but only taken to an extreme). There are several carcinogens created when cooking at high temperatures, though. Deep frying may produce toxic fumes, and may also produce harmful acrylamide in French fries. Cooking animal foods may drive the production of harmful advanced glycation end-products. Frying, smoking, and other high heat methods of cooking meats also makes them particularly carcinogenic,, while boiling may be the safest. Some of these carcinogens may also be found in eggs and cheese, and it seems that no cooking method can render eggs healthy or safe. Roasting chicken produces carcinogenic HCA compounds (but not coffee or veggie burgers). Luckily just adding a side of vegetables, most notably garlic and broccoli, and a cup of tea (green is good, white is better) may help detoxify these carcinogens. Don’t like vegetables? Just spice it up! 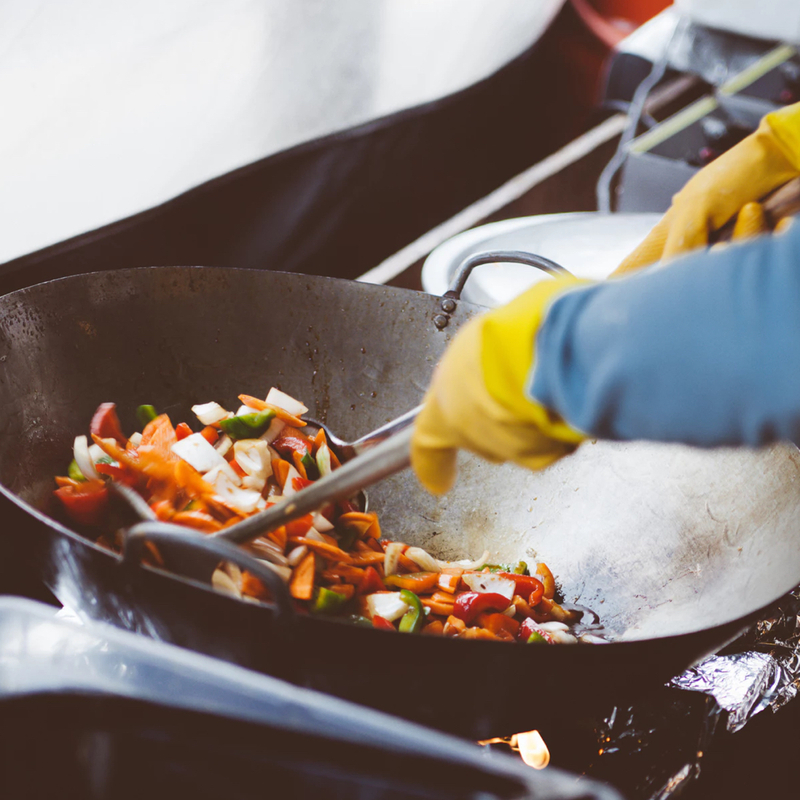 While cooking can kill Salmonella often found in store bought chicken, we often don’t clean our kitchens well enough to avoid cross contamination. Soaking and cooking will reduce the toxicity of poppy seeds. However, cooking will not kill neurotoxins found in some fish, and may only sufficiently kill pork tapeworms after a 30 day deep-freeze. Get your kids to eat more raw veggies by cutting them into star shapes. Image Credit: Clem Onojeghuo / Unsplash. This image has been modified.